I have finally used up all my stamped fabric! Here are my latest makes. A wee cushion and a covered book which happens to cover an address book! Thought the houses gave a clue as to what I could find inside. I am hoping I will be able to find it easier now! Do I love green? Oh yes indeed and probably because I do love a garden though it has been neglected of late! 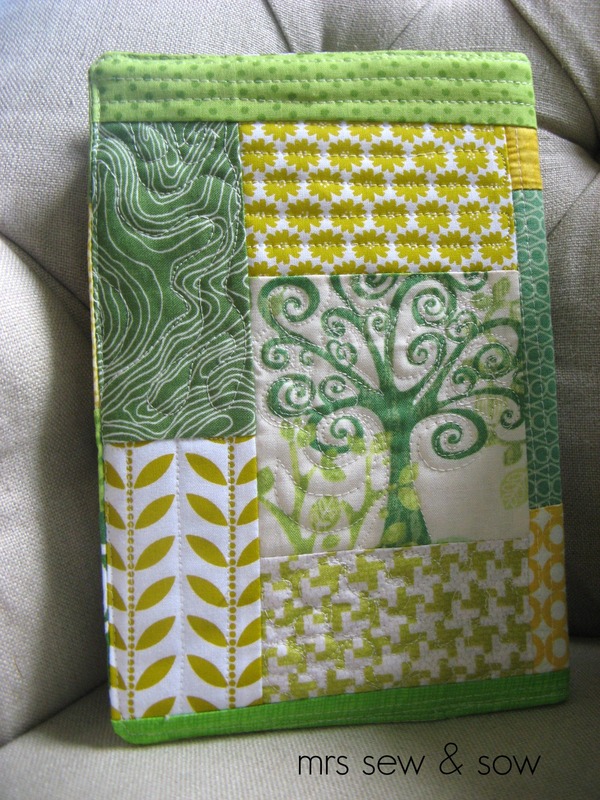 Your collection of green fabrics is gorgeous! I love both these- very fresh! very pretty. I need to work on getting some more green fabric - I just tend to buy blue and pink! What a cool idea "labelling" your books with stampy clues! Gorgeous! The address book is so cute! You are really rocking this stamping vibe Nicky, looking forward to seeing what you stamp up next! I love what you're doing with your stamps - beautiful! Beautiful! 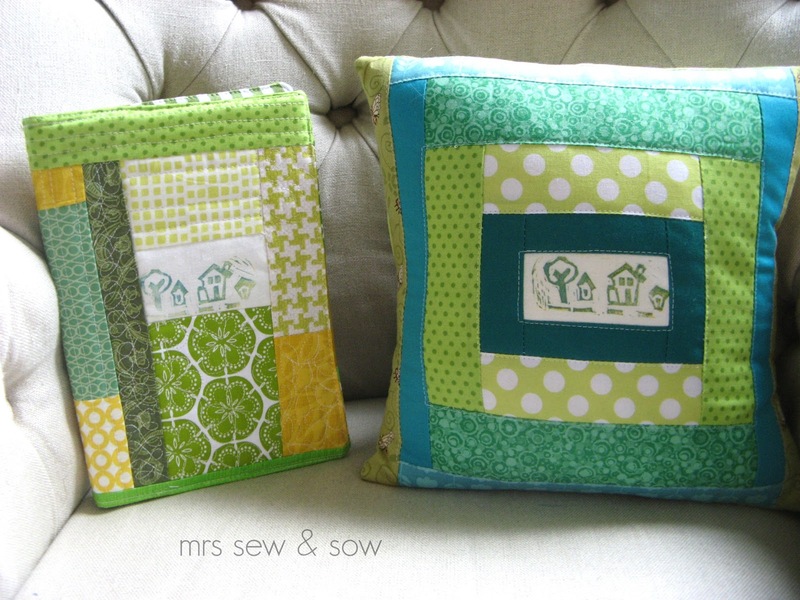 I'm about do start a log-cabin-ish cushion and I was hesitating a bit, but this has set my resolve! Mmmmm green and a pillow. Love it!